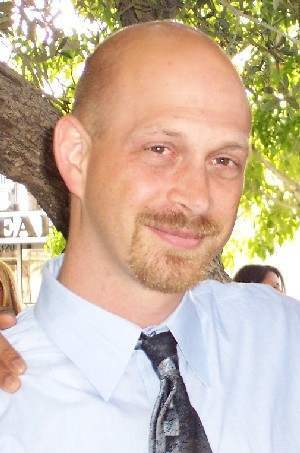 A Journalist, Scott Larson, with the Independent Media Project, was covering the events on May 25, 2005 at the Women’s Center and Police Department in Garden Grove, CA. Scott Larson is an adjunct instructor of Ethics and Philosophy, a health care worker, and he has volunteered for the Independent Media Project in New York City, Washington DC, and Los Angeles. Mr. Larson was one of the journalists video taping the protest. He started to tape Officer Lawton (Badge 4887) when he began to harass and intimidate a peaceful protestor at the Police Department. Officer Lawton saw that Mr. Larson was video tapping, and he stopped his misconduct. After Mr. Larson turned his video camera off, the officer approached him and asked him to step aside. Officer Lawton began writing a citation to the journalist. When Mr. Larson asked the officer what he was being cited for, he asked, “Is this police harassment?” Officer Lawton turned to Mr. Larson, smiled, and replied, “Yes”. Mr. Larson went to court on Wednesday, June 29, 2005, hoping to explain to the judge, Kenneth Schwartz (Superior Court, West Justice Center), the reason the ticket was issued, and to seek a just outcome. Judge Schwartz, according to Mr. Larson, “seemed to be preoccupied with moving people through the system as quickly as possible, and did not allow the opportunity for people to address the court”. The fine that was imposed on Mr. Larson was $336.00. Though this is not a very extreme case, as activists have been dealing with physical assaults by officers (some with weapons), arbitrary arrests, and violations of privacy over things as stupid as a police flash light, this is merely another example of Garden Grove Police Department’s blatant harassment, suppression of constitutional rights, and complete disregard for the values of a free society. Scott Larson was quoted saying, “The Garden Grove Police Department has evolved into Nazi Stromtroopers, attacking not only descent, but anyone willing to provide news coverage to them.” Though many believe that we still have a free press, Mr. Larson disagrees, “the press is not free, it cost me over $300, but it is important that everyone stands up to corruption like this.” Scott Larson paid his fine and pledged to continue to cover events like this, and to get more involved during election periods to expose incumbents that have used their political power to attack civil liberties and the free press. Mr. Larson provided the City Council of Garden Grove with video evidence of police misconduct. The City Council has decided that they do not want to investigate the actions of their police. Mr. Larson has decided to publicly release the video he provided in hopes that pressure can be brought against the Garden Grove Police, and the people they have been actively intimidating and harassing can have justice. The link is below. It is a large file because it was a DVD that has been transfer into a Mpeg file. Mr. Larson maintains copyrights for the video, but will allow media to use it for reporting purposes.